I wonder if they add orange flavoring to this rum. I still like it though and I must say they have the best bottle in the market. It is relatively inexpensive and a good value. Very special rum. An interesting smokey orange flavour, but with a slightly strange aftertaste. Not my cup of tea. This is a good rum to start with. I love the taste and finish of this rum, over ice and sipped. 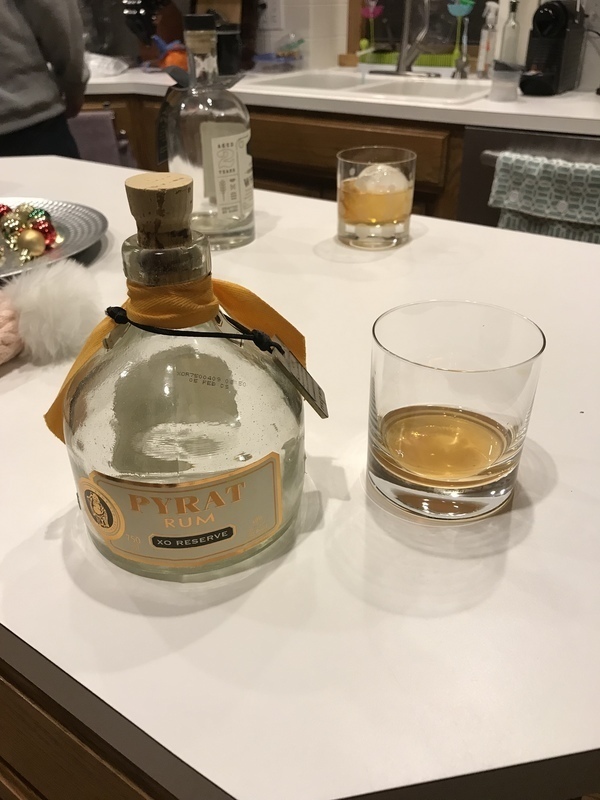 Not wanting to use my Zacapa for mixing or experiments, I found the Pyrat XO a cheaper alternative with a lot of the same taste notes and positive connotations. I have kept a bottle at home since I found the rum, and enjoy its effects on my cocktail experiments. This rum is simply average. I expected a lot more flavor and less burn for the price. I wouldn’t quite say disappointed, but certainly not a “wow” either. Drink your friends, don’t buy your own. Smooth, with just the right amount of fire at the end. Will be drinking again. I really love this rum and i dont know why it jas such a bad review. Great orange taste and no aftertaste. No, this is just not a rum in my liking. Too syntetic and the taste and smell of orange is taking over everything else! It gets a little better as I let it breath for somewhat 15-20 minutes, but its still the worst one I've ever bought. The bottle is lovely thou, so that gets the rate to get up from 2 to 3. 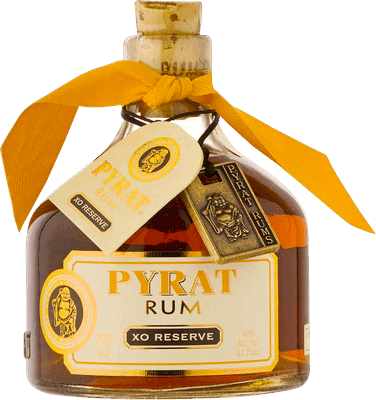 There’s no doubt Pyrat is a unique rum. Nose isn’t appealing to me, and hard to distinguish as it’s not a typical rum nose - slightly floral and fruity. Taste is slightly better, I get orange, cinnamon, and a little slice. Not a good finish, short and rubbery. I could envision some liking the uniqueness, but it’s not for me. Might as well give it a try. I find this ok, but not worth all the hype. If you want orange, I can think of better rums and drinks; if you want rum, there are way better rums. It's ok, but if I wanted something orange, I think Rumbullion is much more interesting. Pryat was too citrus for me to enjoy neat. Gave it to a friend who liked it as a mixer. I bought the drink package on my last cruise, and I saw this on the shelf, and had to try it. No internet to read reviews. Turns out it was to expensive for my plan (go figure) so I paid the difference. I could finish it but just barely. It has that same cloying taste I don't like about Jamaican rums. Maybe, as they others said, Orange was the 1st impression. I switched to Ron Zacapa 23, which also wasn't on my plan, but has the flavor I look for. If you tend to the sweeter not dry side of rums, you will like this. It has tones of vanilla (which some people turn away from) and orange. I love sipping this rum with a cigar. I will always keep it on my rum shelf, and it ads a little extra flare with the unique packaging. It is also reasonably priced. Nice presentation. Above average aroma and taste. Excellent finish - very smooth. Citrus flavor - especially orange. Didn't really like it. Initial taste reminded me of taking children's orange triamenic cough syrup as a kid. That seems rather specifically bad doesn't it? I want to believe the one reviewer who said it needs to breath to be good, but I'm sure all rum is better after breathing and I don't want to wait 2 hours before sipping 1 glass of rum. Love the bottle and presentation but it's just not good. Too sweet, too much orange, not rum in my opinion. It wasn't nothing impressive that came to mind. It has no body, the taste of citrus orange spices disappear rather quickly. It will probably mix well but not a sipper. It has a strong 👃 but very smooth, no bit after the initial entry. Save your money and get an orange liqueur for less cost, or just get something different. Purchased this rum primarily because of its awesome presentation. Nice looking bottle in wooden/ glass case looks great on my bar. Unfortunately that's where the love ended! Pulled the cork, poured small amount into brandy glass, swirled and took a deep sniff and whammo! Nostrils assaulted with something akin to alcohol base cleaner. Knowing that smell can be deceptive took a mouthful, swished around mouth and swallowed. Smell had not been deceptive. Thinking that maybe I just needed to give something different a bit of a chance poured a second glass, still didn't rise to the occasion. Decided to checkout some reviews ( maybe it's just me) read that if you give it a couple of hours sitting in the glass it transforms, tried that, still not my cup of tea. Tried with coke but whatever they use to give it that flavour even cuts through the coke! Don't like to be to harsh, everyone has different tastes, but unfortunately this is not to mine. At around $70-$80 a bottle in Australia this rum is destined to be a bar piece only in my home. This rum is one of the oldest in my cabinet. Too much orangeflavour makes it the last choice, when my rumcraving accours. Aroma: Kerosene and triple sec. Taste: Wow, chemicals, a sweet fake orange, more chemicals. Aftertaste: Not a good one. Mixology: Mixed with Coca-cola taste really good. The citrus flavor is a nice touch, like Appleton Estate Special Gold. For the price ($11 375ml.) and taste did not worth it. Not a sipper and expensive mixer. Who needs fresh squeezed orange juice when you have this. When I smelled it for the first time I thought - okay, there is something unpleasant coming through, but I still can smell some fine notes in it, let's sip it. However, after the first sip, I was surprised and disappointed all together. There definitely was some taste telling me this is not a cheap rum, and some fruity things were popping on my tongue as well, which was interesting. Unfortunately, a really bad taste, that I really really hate was coming through as well - not sure how to describe it, but there is kind of alcohol you can find in central/eastern Europe, which was formerly called Rum (a very cheap one), that nowadays can not use the name Rum as it has nothing to do with sugar cane at all. This killed it all, and I would rather trick myself with a shot of Morgan or Jerry, than pay some extra cash in pub for a glass of this. I'm sorry, but not my choice!